Superstar Manny Pacquiao began working at the Wild Card gym of his equally famous trainer, Freddie Roach on Monday, and Roach liked what he saw from Pac-Man in sparring. Getting ready to face Tim Bradley for a third and final time – Pacquiao repeatedly stating how the April 9th fight will be his final ring appearance before saying adios – the future Hall of Famer is also overcoming the shoulder injury he carried with him into the “Fight of the Century” against Floyd Mayweather Junior last May. But, as Dan Rafael reports on ESPN.com, there are no concerns about the shoulder. Not for Roach anyway. 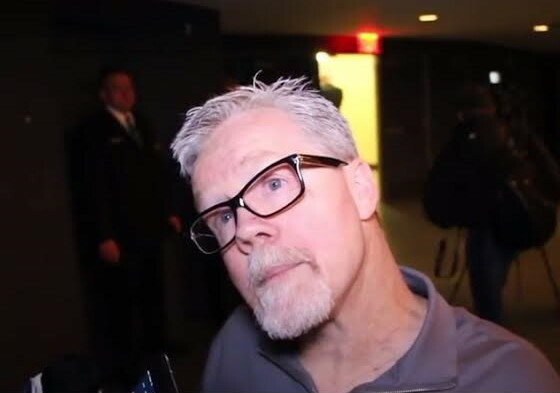 Roach, who has said a few times he believes his southpaw dynamo will score a KO over Bradley this time, has been amazed at the strength of Manny’s right hand. Pacquiao tore his rotator cuff, a quite common injury for boxers, and had to undergo surgery to repair it. Roach is praising his fighter’s doctor, who, he says, has worked a near miracle! “I don’t know what his surgeon did with Manny’s right shoulder but he is firing his right with authority and strength. I never thought I would say this but I think it’s stronger than his left,” Roach said yesterday, as quoted by ESPN.com. That really is quite a statement from Roach. Considering the lethal power Pacquiao’s left hand carries (or perhaps we should say carried, as Pac-Man has not scored a stoppage in a long, long time) it really will be a scary thing if his reconstructed right shoulder allows him to punch even harder with his right hand. And this could be bad news for Bradley. Bradley, a fine student of the game, will of course be looking out for Pacquiao’s lethal left and now, his right. Is Roach exaggerating a little when he speaks of the strength of his warrior’s right hand? Maybe. But Roach will be more than proven right (!) if Manny scores a KO over Bradley with his right hand!